The real title is “He has fought the revolution and drunk the dregs of his own inhumanity” available at Man About Town Winter 2018/ Spring 2019. 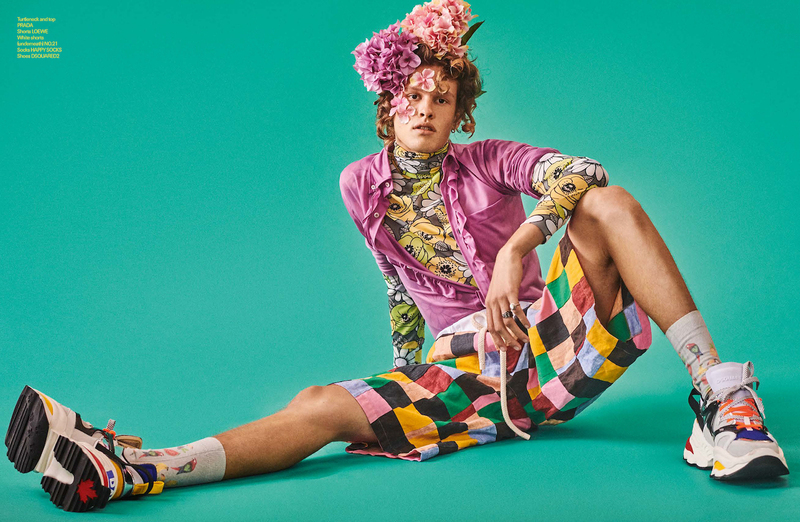 The photographer Giampaolo Sgura works again with Miguel Arnau and models Ariel Rosa, Jonas Barros and Pepe Barroso in a satiric fashion presentation of how duality femme/homme is playing a big role. The worldwide fashion photographer Sgura services you a real professional stunning work, provocative, glamorous to captive your attention. Models Ariel, Jonas and Pepe, brings an excitement role in the story, embellished with flowers, rebel leather outfits. Prada, Givenchy, Louis Vuitton, Dsquared2, Alexander McQueen was only a few luxury brands utilized on the featuring. Models Jonas Barros @_jonas_barros at IMG Models, Pepe Barroso @pepebarrososilva at Select Models & Ariel Rosa @arielcruzrosa at Independent Management.